30.06.2015. The Republic of Georgia is making sparkling wine. And there is another good fizzy pour coming from the Basque region of northern Spain. Both are made with grapes you probably don’t already know. Producers all over the wine world are crafting frothy pours from varietals that may be entirely new to you, and offer the lively zip of bubbles in your glass. 29.06.2015. Georgia is using its unique story to bring wine lovers back to their spiritual home, where wine has been produced for millennia and the grape forms a central part of the country’s proud cultural identity, writes Neal Baker. As far as clichés go, “Home is where the heart is” is possibly one of the most over-wrought in the English language. However, the ironic thing with clichés is that they usually have some semblance of truth. So, when we talk about where the “home” of winemaking might be, so that wine-lovers can geographically place the source of their passion – just as the religious do with “holy lands” (only with less verve and devotion than wine fans) – one country stands head and shoulders above the rest in terms of its historical connection to wine. For eight millennia, a timespan difficult to comprehend, Georgia has been fermenting grape juice, making it without doubt the “home” of wine. Winemaking is so proudly embedded in the nation’s culture that it makes Bordeaux look clinical in its vinous appreciation. 29.06.2015 (Hvino News). Earlier this month, at prestigious wine contest Les Citadelles Du Vin in Bordeaux (France), Georgian producer Winery Khareba was awarded with 4 medals, including the highest Gold Special Trophy (read also here). The Gold Trophy (Prix Speciale Georgie) was won by Khareba's 2012 Chateau Lipartiani red. 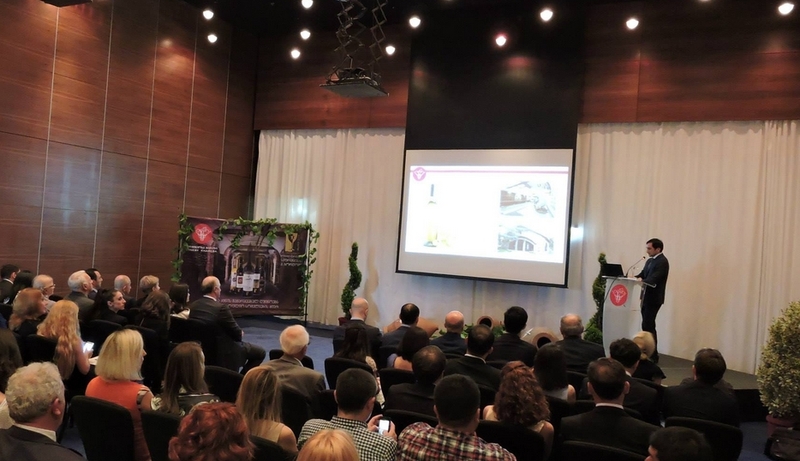 To celebrate the remarkable achievement, Winery Khareba organized a special event, which took place at Radisson Blu Iberia hotel in Tbilisi on June 27th. The high-level event was attended by representatives of agriculture ministry, wine industry and the mass media. 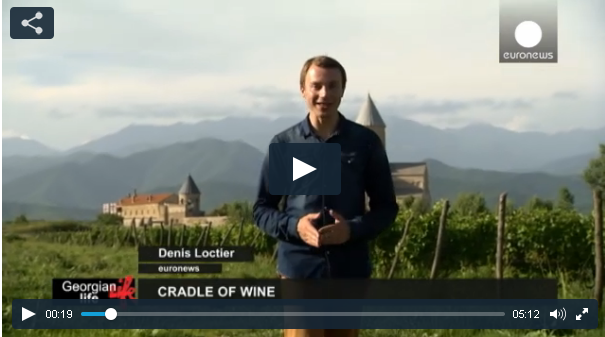 Vladimer Kublashvili, Winery Khareba's Chief Winemaker and Production Director, who made a presentation at the ceremony, told that his company has been participating in Les Citadelles Du Vin since 2012. "Since that time we have earned 3 silver and 6 gold medals. Finally, this year we got the Trophy, the highest reward for our excellent wine – Chateau Lipartiani 2012, which is made of saperavi grape variety and aged in oak barrels. Every such success puts our country in the focus of attention of the world's wine society. 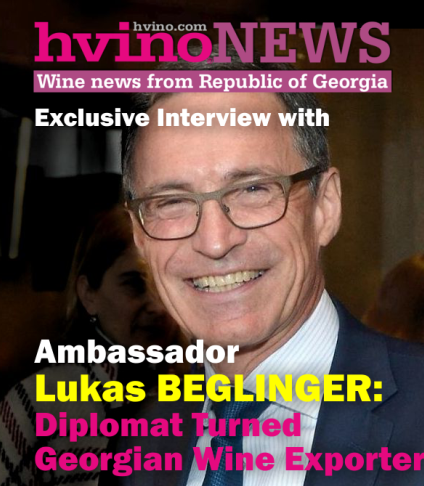 We are pleased to demonstrate that Georgia is the cradle of vine and wine, and products like ours can be highly appreciated beyond the Georgian shores, and can stand out in the global best wine markets thanks to their quality," - commented Mr. Kublashvili to Hvino News. 26.06.2015 (Hvino News). In order to increase awareness and popularization of Georgian wine in Poland, a tasting seminar for professionals was held in Krakow on June 23. 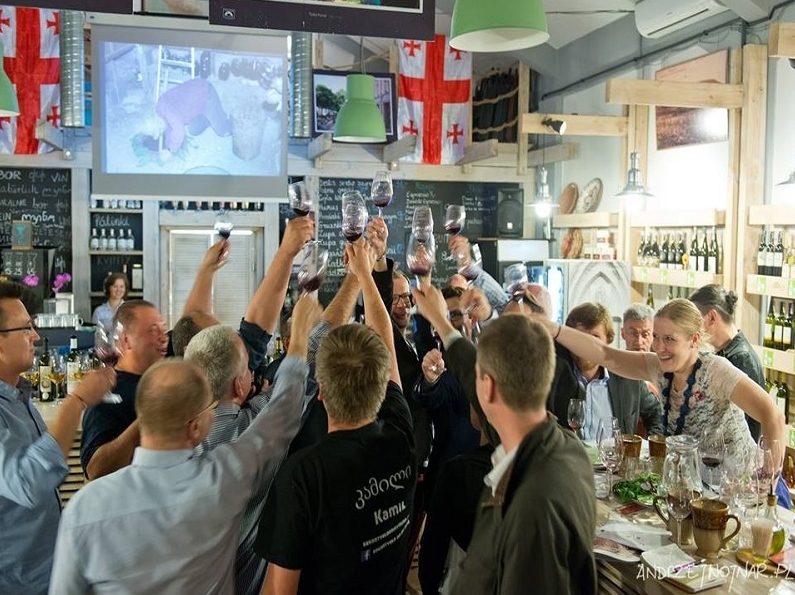 The event at wine bar "Lipowa 6F / Krakó Slow Wines" was conducted by Mariusz Kapczynski, head of Vinisfera company, and attended by Poland's wine importers, distributors, journalists. The seminar focused on wines produced by smaller companies and aged in kvevri. The guests had the opportunity to taste 18 different wines and listen to presentations by Beka Gotsadze and Nika Bakhia. The producers represented for tasting included Gocha Family Wine, Nika Bakhia, Pheasant's Tears, Iago's, Lagvinari, Schuchmann Wines, Chotiashvili's Vineyards, Tsikhelishvili's Cellar, Kvaliti, Chelti, Tbilvino. Mr. Kapczynski noted: "This was a unique tasting, and the participants had the opportunity to get a lot of positive emotions. Beka Gotsadze and Nika Bakhia made fantastic presentations. They are intelligent people and true winemasters! I hope to repeat a similar tasting in other cities of Poland." During this year in Poland, seven such tasting events are planned. 25.06.2015. On June 16 Georgian Wine Club, Georgian Experience company and National Wine Agency held large presentation at National School of Agricultural Engineering in Bordeaux, France (known as Bordeaux Sciences Agro), which is, in fact, scientific research and educational arm of Ministry of Agriculture, Food, and Forestry of France. Event was held with an aim to present qvevri wine method historical and technological aspects to academic personnel and to the students of the university. Introduction was made by an oenologist and doctor of microbiology and biotechnology Guilherme Martins, who is also Master programs’ coordinator at the above-mentioned school. 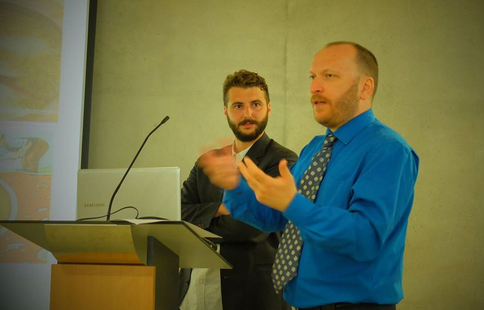 Presentation was held by Bordeaux University student and founder of Georgian Experience Davit Jishkariani and Georgian Wine Club president Malkhaz Kharbedia. 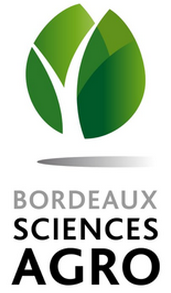 As he says, “This presentation was exceptionally interesting for it was held in University, in one of the most important wine educational centers of the world - Bordeaux Sciences Agro. Entire audience was students and academic personnel. They are not so-called “wine snobs” but professionals either future professionals who really care for novelties and try to learn about subject as much as possible. All their questions were about details and it was impossible giving brief answers. Especially delightful was to hear their conclusions and parallels when tasting one or another (breed or sort) Georgian wine”. 24.06.2015. Kakheti is Georgia’s main wine-producing region in the country’s east. Wine grapes have been cultivated in these lands for 8,000 years, which, archaeologists say, makes Kakheti the cradle of wine. “Wine making began here from the very first days of the monastery. In Georgia, wine is a tradition dating back to primitive times; it plays an important role in Christian liturgy – and even before Christianity, in ancient times, it was an essential part of people’s daily life,” explained Father Gerasime, a monk at Alaverdi monastery. 23.06.2015 (Hvino News). The special guest of Hvino News today is Mr. Jean-Marie AURAND, Director General of International Organisation of Vine and Wine (OIV). He kindly greed to answer our questions. 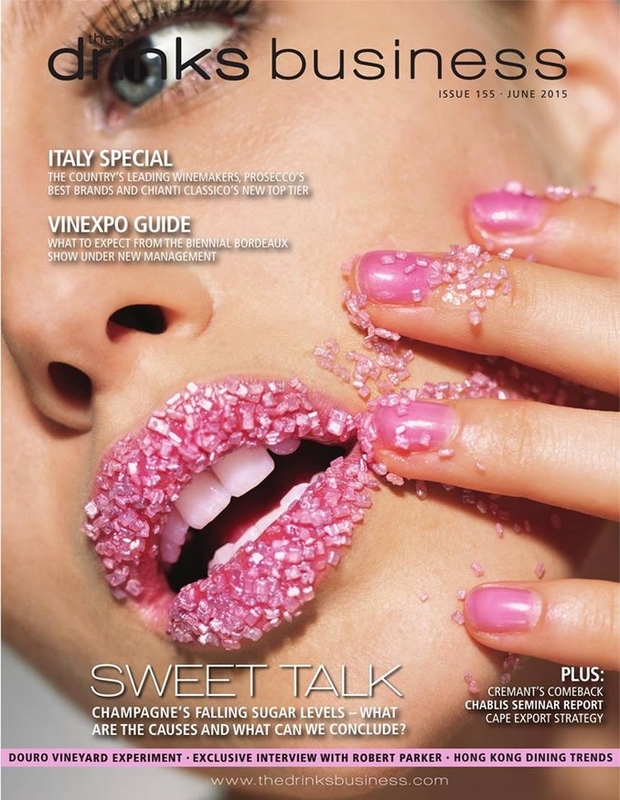 Hvino News: Recently you visited Tbilisi to inaugurate WinExpo, the Georgia’s international wine exhibition. Can you name three things, which became most memorable during your stay in Georgia? 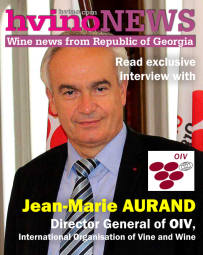 J.-M. Aurand: It was my first visit to Georgia as OIV’s director general, from 2 to 7 June 2015, on the occasion of WinExpo Georgia and the International Wine Competition in Tbilisi. I was amazingly welcomed and I would like to thank my hosts for their warm hospitality. From this visit, I recall at first the quality of the different exchanges I had with the Georgian interlocutors. Particularly my meeting with the Agriculture Minister Mr. Otar Danelia, which has been very productive. He confirmed the importance accorded by his country to its presence in the OIV and mentioned that he wishes to develop and improve even more this collaboration with the organisation. Then, I could also discover the place that the Georgian’s viticulture occupies there. Your country has a long tradition in viti/viniculture, a great diversity of vine varieties, of terroirs and wines, a well-known and recognized expertise, in short it has an enormous potential. 23.06.2015. (Hvino News). Georgian wine producer Kakhetian Traditional Winemaking (KTW) reported that company's business partner from Moldova - Glass Container Company SA - donated funds to help the victims of recent flood in Tbilisi. 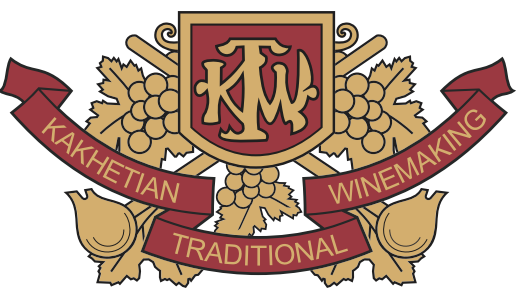 "KTW wants to thank our partner company Glass Container Company S.A. from friendly Moldova, and company's CEO Oleg Baban, for taking to heart the tragic events which occurred in Tbilisi, and donating $ 10,000 to help the victims of the flood", - reads the statement of Georgian wine producer. "Our two companies have been cooperating since 2012, and during this period we have found a reliable and strategic partner and friend in Glass Container Company. Words can not express our gratitude and respect for such a sincere act," - says Kakhetian Traditional Winemaking. KTW was one of the first companies which contributed to the victims support fund with a 30 000 lari donation (read here). Glass Container Company SA specializes in manufacturing of glass containers for wine, sparkling wine, brandy, beer, oil. The factory is located in Chisinau, Moldova. 21.06.2015. 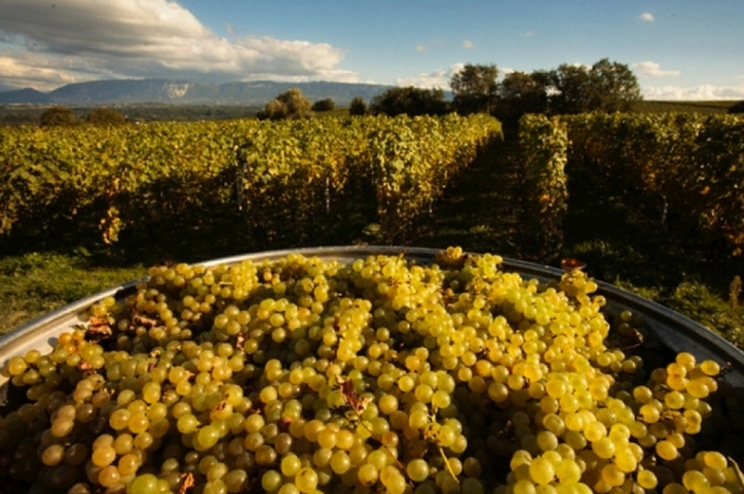 The Tbilvino company, a major wine producer in Georgia, will procure much less grapes from farmers this year in comparison to the last. “We export wine to 29 countries, so our deficiency is not very noticeable. Other companies’ figures are far worse. 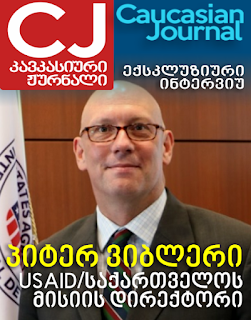 In total, export from Georgia has decreased by 54 percent. Due to this, wine producing companies will presumably have to procure less grapes and consequently, the prices will drop,” noted the businessman. Giorgi Margvelashvili thinks that the price of grapes will equal the price set before lifting the Russian embargo, but he rules out a sharp drop. “Last year, the price of grapes was at its record high, but the companies couldn’t raise the price of wine adequately, thus having to decrease the profit margin. The crisis has affected their sales as well, and they were forced to sell the product cheaper,” he said. 20.06.2015 (Hvino News). Georgian Sommelier Association will host the General Assembly of the International Association of Sommeliers (Association de la Sommellerie Internationale, ASI) in 2018, which will be held in Georgia. The decision was taken on June 14, 2015 at the annual General Assembly of ASI, which was attended by Shalva Khetsuriani, winemaker, president of the Georgian Sommelier Association. "It is the first time for Georgia to be presented at such a high level", - said Mr. Khetsuriani in the interview to Hvino News. "Presidents of the associations from 52 countries decided that the Georgian Association will host the General Assembly of ASI in 2018 - this is amazing! This is such a wonderful opportunity to acquaint very influential people of the wine world with the Georgian wine and culture. Special thanks to the National Wine Agency of the Ministry of Agriculture for supporting our proposal, "- said the head of the Georgian Sommelier Association. The International Association of Sommeliers was established in 1969 in Reims (France), currently the headquarters of the organization is located in Paris. The most significant projects are the ASI are world's and Europe's best sommelier contests, as well as international congresses. Kindzmarauli Marani is one of Georgia's leading wine producing companies. Based in the famous Kakheti region of Georgia, the company specializes in the naturally semi-sweet “Kindzmarauli Original” red wine, made from Saperavi grapes. Iralkli and Debra are discussing the fermentation process by which they achieve the semi-sweet wines, along with climate and soil conditions in the Kindzmarauli region, and what foods to pair semi-sweet reds with. Debra Meiburg MW is an award-winning wine journalist, educator, judge and a first recipient of the Master of Wine title in Asia. Meiburg is also founding director of the Cathay Pacific Hong Kong International Wine & Spirit Competition. In recent yeas she has been actively involved in Georgian wine promotion activities in China. Ms. Meiburg led several Georgian wine tastings and seminars (see Georgian wine gains popularity on Asian market, Georgian wine tasting seminar in Beijing). A few days ago, in Tbilisi (Georgia) was a great tragedy as a result of which many people were killed and thousands affected materially. In the capital there was a big damage. Also they suffered so loved by us animals from the zoo. As a member of the Polish Association of Sommeliers, I turn to you for help. I ask you to make deposits to special account through non-governmental institutions, the association "Bridge to Georgia", which cooperates with the Ambassador of Georgia Nikoloz Nikolozishvili in Warsaw (I, too, in this case). I myself, personally organizing a special evening and an auction with many items to auction, including works by renowned Polish artists and donations from business as well as people of good will. Georgia is a country where wine is born and the Georgians themselves love them like no one else on the World. Show that you as a professionally associated with wine and those who gain prizes, diplomas, cups ..., as those who have achieved so has just wine what they have, you know how to identify with the tragedy of people for whom wine is a symbol of life. 18.06.2015. Next time you bring wine to the party, consider raising a glass to the ancient people of the Republic of Georgia for helping make the grape beverage such a popular social lubricant. An archaeological dig at the site of Gadachrili Gora, near the village of Imiri in southeastern Georgia, recently unearthed the earliest evidence of domesticated grapes from about 6000 BC, according to carbon-dating analysis. This fits with other evidence that the people of the Caucasus region were not only the first to master viticulture but may have also spread wine technology to the “Fertile Crescent” of the ancient world, helping civilizations in places such as Mesopotamia and the Eastern Mediterranean begin to flourish. “Once people from the Caucasus start to move into these new neighborhoods, you start to see wine drinking really take off and it becomes an integral part of the society,” said Stephen Batiuk, of the University of Toronto’s Archaeology Centre and the department of Near & Middle Eastern civilizations, who is part of an international team working in the area. 17.06.2015 (Hvino News). 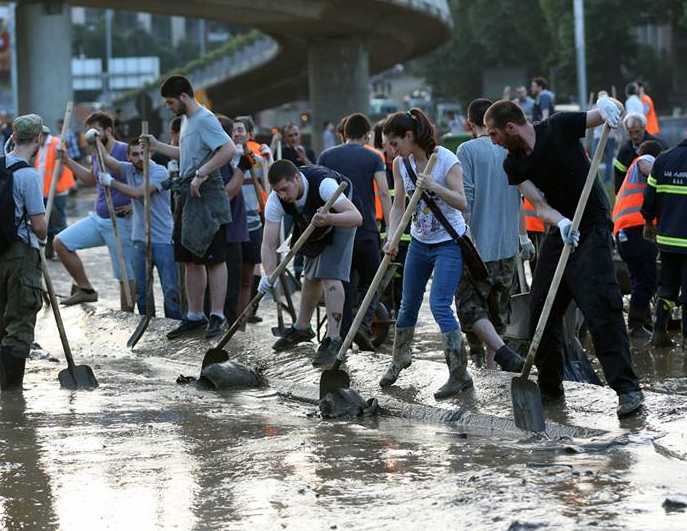 Polish winemakers and sommeliers, many of whom have long-time traditional ties with Georgian colleagues, took the lead in helping victims of flood in Tbilisi. Mariusz Artur Napora works as sommelier at restaurant Zurawina in Warsaw. "My love to Georgia began three weeks ago but will last for a lifetime! 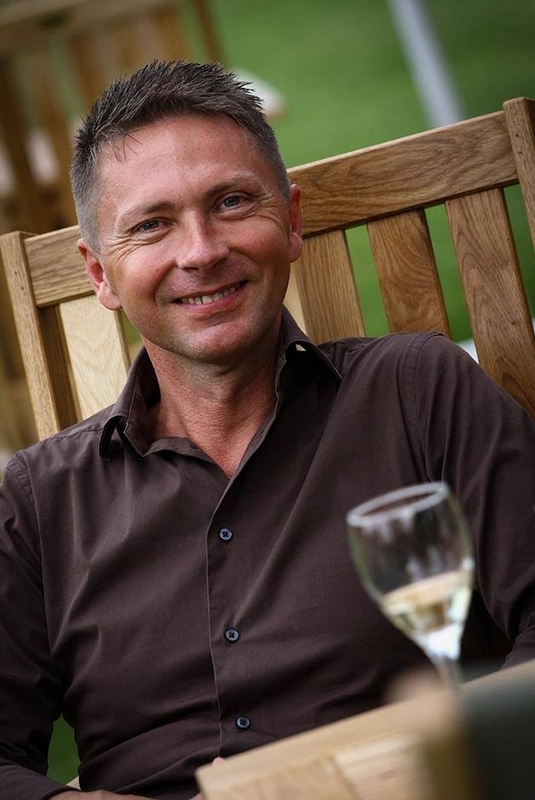 And I love Georgians wines, oh yeah" - Mariusz confessed in his interview to Hvino News. On his initiative, the Warsaw restaurant will hold a charity auction on June 26 to help victims of Tbilisi's devastating floods. The event will be organized under the patronage of Michal Szczerba, chairman of the parliament's friendship group "Poland-Georgia". The funds raised at the auction will be handed over to people affected by the flood. The initiative of the Warsaw's sommelier quickly spread through social networks and received broad support among Poles. "The auction for the population affected by the disaster will be held in Warsaw on Friday, June 26, at eight o'clock in the evening at the Zurawina restaurant", - wrote Polish poet Eva Karbowska in her facebook page. "I'm not a businessman, but a private person... I'm doing this as Mariusz Napora because I feel so and so wants my destiny", - commented Mariusz in his page, after a Georgian television report attributed him as a businessman. 16.06.2015 (Hvino News). 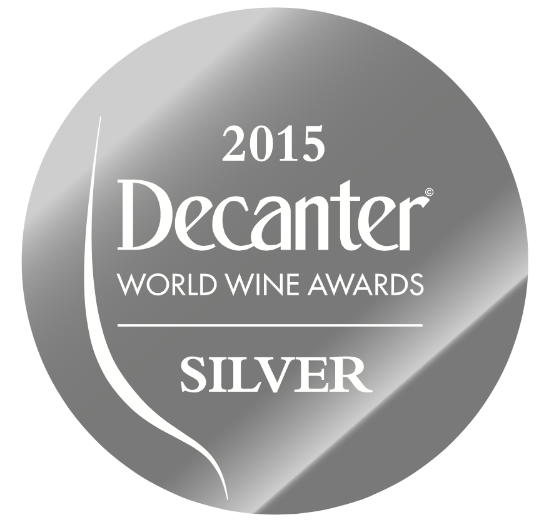 The 2015 Decanter World Wine Awards (DWWA) results were officially announced. 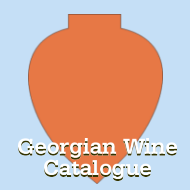 28 Georgian wines have been awarded in this year's competition, which is lower than 35 awarded wines in 2014. However, the quality of awards has progressed significantly compered to previous years. In 2015 Georgia had 4 Silver Awards in contrast to just one a year ago (details here). 16.06.2015 (Hvino News). Company Kakhetian Traditional Winemaking extends its condolences to the families of the victims of the flood in Tbilisi. KTW GROUP will transfer GEL 30 000 to the assistance fund of the victims of the flood. For all companies and private persons who wish to assist those affected by Tbilisi flooding, the banking details can be found at this link. 16.06.2015. Tiny Georgia brought its battle for freedom to the temple of wine this week, showcasing its winemaking magic for the first time at the world's biggest wine fair, Vinexpo. Long dependent on sales to its mighty northern neighbour Russia as well as to its former Soviet-era partners, the Black Sea state uncomfortably wedged between Russia and Europe is increasingly looking west to develop its ancient wine industry. "With every bottle of Georgian wine you buy, that's a little less lever of power its neighbours have over it," US wine expert Lisa Granik said in Bordeaux. Georgians, who claim the world's first wines 8,000 years ago, are steeped in wine because of both religion and tradition. "It's like Georgians have an extra chromosome, a wine chromosome," said Philippe Lespy, the French CEO of Georgian Wines and Spirits Company. 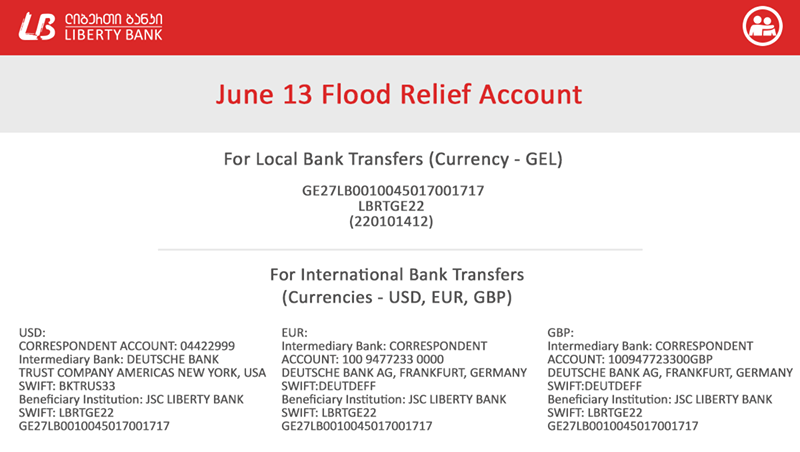 For international friends who wish to assist to those affected by Tbilisi flooding we are re-posting the bank account details in two Georgia's banks - Liberty Bank and TBC. At least 13 people are dead and 11 missing after severe flooding in the Georgia’s capital Tbilisi. The Finance Ministry has estimated the flood damage at over $20 million. The United Nations has issued a special statement regarding the recent events: "The United Nations in Georgia is deeply saddened by the loss of life as a result of the devastating flood in Tbilisi caused by the heavy rainfalls that hit the country on 14 June 2015. The United Nations expresses sincere condolences to the people and Government of Georgia, especially the families of those who have died, been injured or otherwise affected in this disaster". 16.06.2015. For many years, Matthew Hunt worked in the restaurant business in Atlanta. Now he's in Portland, and he's excited about the advent of Georgian wines. But not the Georgian wines you're maybe thinking of. The Peach State may be home to a small, folksy wine industry and a vibrant Atlanta restaurant scene, but the Georgia that's captured the collective imagination of the wine-erati is more than 6,000 miles east of the American South. The independent republic of Georgia is in the Caucasus region, bordering Turkey, Armenia, Azerbaijan, Russia, and the eastern shore of the Black Sea. "Georgia has more than 8,000 years of continuous winemaking history -- nothing on the planet comes close," observes Hunt, who is the wine buyer at Kachka, the nationally praised Russian joint on Southeast Grand Avenue. "That alone is fascinating to me." Georgian wine represents the intersection between two restaurant trends happening in Portland right now. Kachka, which at barely more than a year of age has already scored a cookbook deal and has been named one of GQ magazine's 25 most outstanding restaurants of 2015, is the poster child for a new Eastern European food obsession happening here. 16.06.2015. Due to the Ukrainian crisis and devaluation of the Russian ruble, Georgian export of wine is predicted to decrease by over 50% in 2015, in comparison with the previous year. 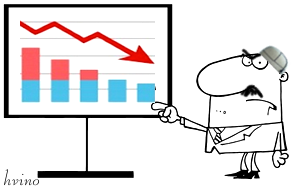 Leading Georgian companies are expecting over 20% of an export drop with the help of a market diversification policy. Meanwhile there still remain companies that were strongly dependent on the Russian market. The U.S., UK, Poland and China will be the target countries for promoting Georgian wine in 2015. Export of Georgian wine was reduced by 54% during the first five months of 2015, in comparison with the same period of the previous year. The reduction is linked to the slump of export to Russia and Ukraine, the largest export markets for Georgian wine. Georgian wine export to Russia has dropped by 70% this year, and to Ukraine - by 57%. Georgia exported 10,455,407 bottles of wine worth USD 30,151,039 to 31 countries. Wine is the eighth most exported product from Georgia. More than 120 companies are exporting wine from Georgia. “The number of companies that are mostly dependent on the Russian market is small, about six. The 2006 Russian embargo was quite a good lesson and you cannot find a company that will think to succeed by just depending on the Russian market. Everyone has a desire to diversify their export portfolio. How they manage it though, is another issue,” said Giorgi Samanishvili, head of the National Wine Agency. 15.06.2015 (Hvino News). Yesterday Vinexpo 2015 was inaugurated by French President Francois Hollande. "Today Bordeaux is not only the Capital of the region, it is an exhibition venue for the whole of France, the Capital of the World of wines and spirits", declared the President of the Republic. Eka Siradze-Delaunay, Georgia's ambassador to France, also attended the opening ceremony, reflecting the growing Georgia's involvement in cooperation with France in wine sector. Several Georgian wine producing companies are represented at Vinexpo in Bordeaux on June 14-18 (see more details here). 14.06.2015 (Hvino News). Vinexpo 2015, the key event in the wine and spirits calendar, opens its doors to welcome industry professionals coming to Bordeaux, France. 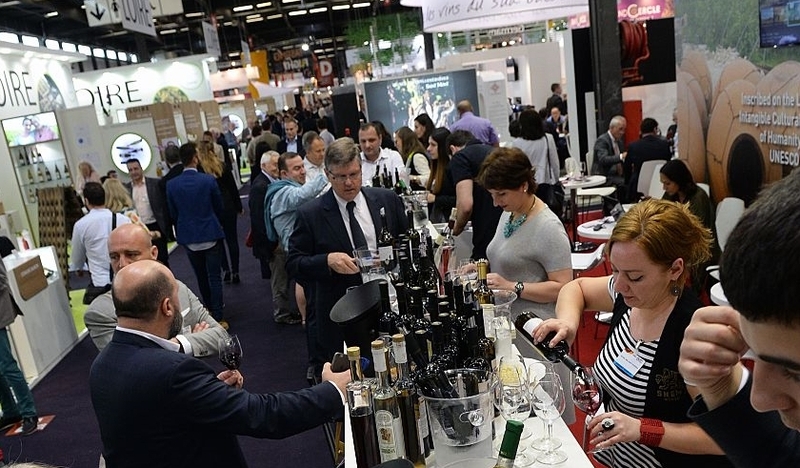 2,350 exhibitors from 42 countries will be converging on Bordeaux on June 14-18. Several Georgian wine producing companies are represented in a single stand under the umbrella of National Wine Agency and Georgian Sommelier Association. At the Georgian stand (#CD-309) wines from Besini, Telavi Wine Cellar, GWS, Askaneli Brothers, Geowine, Shumi, Vaziani, Chelti, Tbilvino, Kakhetian Traditional Winemaking, Chateau Mukhrani are represented. Winery Khareba, which has been bringing its wines to Bordeaux since 2012, has a separate stand (#E-302). Eka Siradze-Delaunay, Georgia's ambassador to France, and George Samanishvili, head of NWA attended the opening ceremony. Georgian wine tastings and special events are scheduled during the Vinexpo, with participation of Masters of Wine Lisa Granik and Robert Joseph, as well as Shalva Khetsuriani, president of Sommelier Association (for more details on Georgian event read Georgian events in Vinexpo Acedemy in France). 14.06.2015 (Hvino News). Georgian producer Winery Khareba has won two gold and two silver awards at Citadelles Du Vin wine contest in Bordeaux, France. 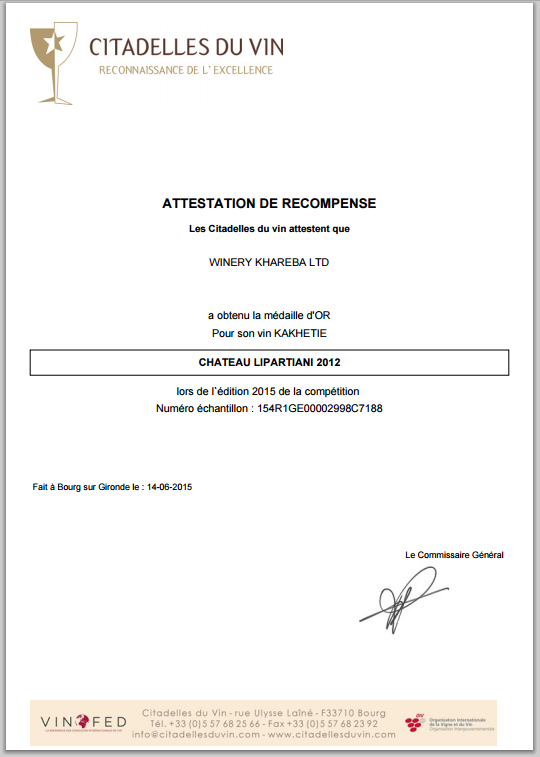 Winery Khareba's huge success in 2015 is building upon the company's participation in Citadelles Du Vin in previous years, which was also successful. Last year Winery Khareba win 2 gold and 1 silver awards (read more here) . 11.06.2015. Alongside with wine-making, viticulture, gastronomic and tourist business, Schuchmann Wines has started a new tourist initiative which will be presented on the market as Schuchmann Travel. The new touristic direction will be generally aimed at the inflow of tourists. 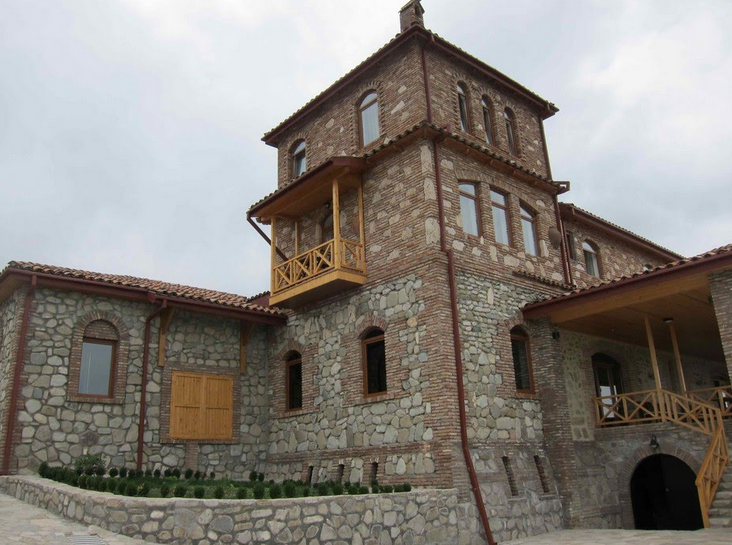 Schuchmann Wines has become a leading touristic destination in Kakheti region and a top boutique winery internationally. 10.06.2015. For the past several months, exports of the Georgian wine to Russia and Ukraine have sharply reduced. Winemakers hope that the situation will improve with time, but the statistics are still showing its further deterioration. According to general director of Schuchmann Wines Nutsa Abramishvili, the fall in exports is due to the economic problems in the region. “The crisis, which was caused by the devaluation of the ruble in Russia and military operations in Ukraine, of course, hit the exporters, including winemakers. At the same time, we are increasing our exports to more sustainable and stable countries, which is a condition for market diversification. It is a correct policy both by the state and the individual companies “- she says. She also expressed hope that after a relative stabilization of the ruble, exports will begin to grow, which is of great importance for the economy of Georgia. “Last year, exports to Russia amounted to several million dollars, which was very important for the economy. As for Ukraine, we are dealing with a long-term problem, and now to predict anything is very difficult. 08.06.2015. Winemaker Iago Batarshvili [correction: Bitarishvili - HN] makes wine in clay vessels called qvevri, which he buries underground and fills with white grapes. There are no barrels, vats or monitoring systems for this ancient Georgian method, which is helping drive sales. Batarshvili plans to bury these new qvevri in his cellar to expand production. When I ask Iago Batarshvili to climb into his qvevri, a Georgian clay wine barrel, he rolls his eyes before he drops a ladder into what looks like a hole in the ground and makes his way down. What is a novelty to an observer is, to Batarshvili, simply the way things are done. "I don't make anything special," he says. "I only continue in the way started by my parents." Georgia's winemaking heritage goes back 8,000 years and centers on the qvevri, a cavernous terra-cotta pot shaped like an egg, lined with beeswax and buried to the mouth underground. 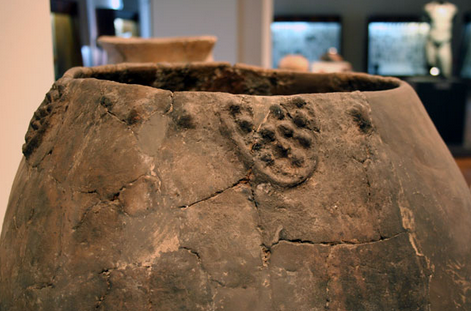 But these ancient vessels were sidelined by the industrial wine production dictated by seven decades of Soviet rule. Over the last 10 years, however, qvevri wine has slowly recovered. Today, it is a calling card for Georgian wine around the world. 08.06.2015 (Hvino News). 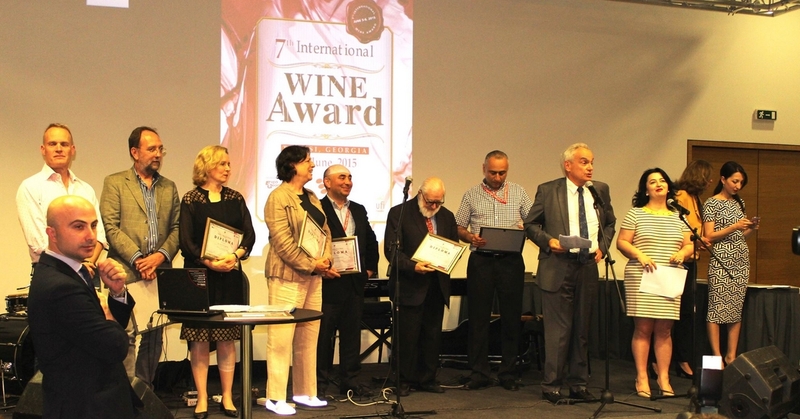 The 7th International Wine Competition was held in the framework of WinExpo Georgia 2015 on June 5-6th. 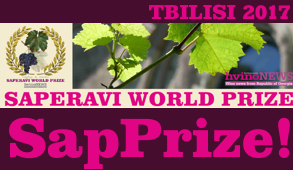 The results of the Tbilisi wine competition, organized under patronage of International Organization of Vine and Wine (OIV), were announced yesterday at the awards ceremony. 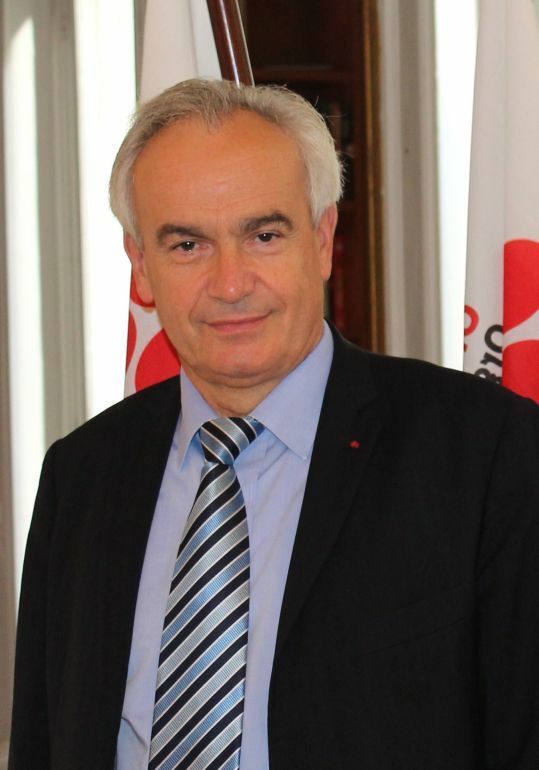 The special guest was of the event was Jean-Marie Aurand, general director of OIV. The jury of the international wine competition was chaired by Tim Atkin MW (Great Britain). "Steep learning curve tasting Georgian wines. But loving every minute", - Tim Atkin wrote in his Twitter. The panel included John Salvi MW (France); Adam Lechmere (Great Britain); Felicity Carter (Germany); Leslie Gevitz (USA); Giorgi Dakishvili (Georgia); Levan Mekhuzla (Georgia). Gold and silver medals were awarded in categories such as dry white, dry red, red semi-sweet, qvevri. 05.06.2015. 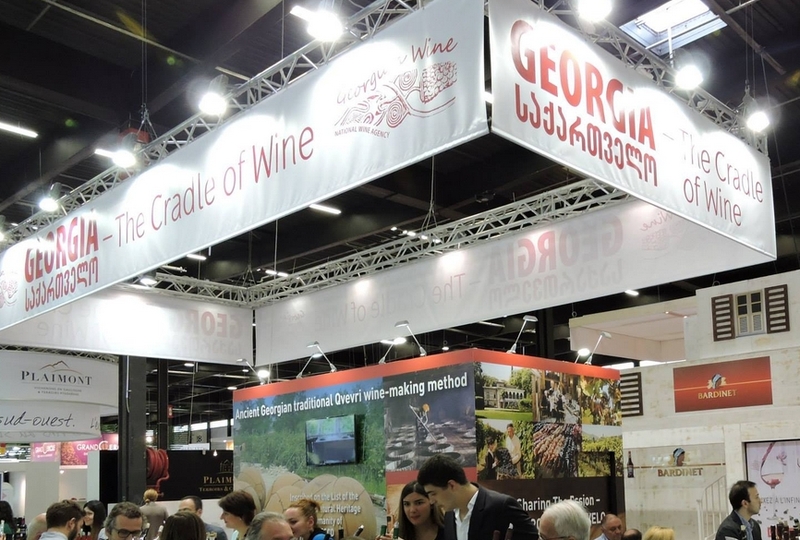 (Hvino News) The 8th International Wine and Spirits Exhibition WinExpo Georgia 2015 was opened today by Georgia's agriculture minister Mr. Otar Danelia at the Tbilisi's exhibition center Expo Georgia. The exhibition gathered over 100 companies from various countries, including Germany, Ukraine, Portugal, Moldova, Italy. "Our main aim is to promote the further development of winemaking in Georgia... Today we have the opportunity to express once more that Georgia has a centuries-old tradition of wine and we must be proud of our wine production ", - said Mr. Danelia. 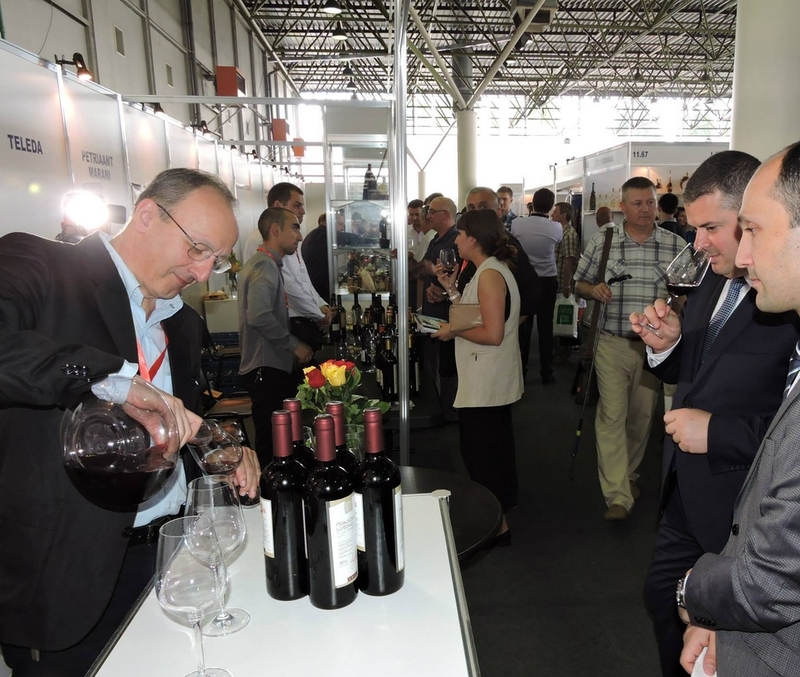 The exhibition presents both wine and other alcoholic drinks, as well as packaging materials, machinery, food processing lines, glass manufacturers and distributor companies. Visitors can taste a variety of products, including wine and cheese produced according to Georgian traditions. This year the exhibition includes large companies as well as famous wine cellars and other small and family producers. 05.06.2015. Georgia has always remained one of the most interesting places for archaeologists. Researchers have made unique discoveries in its various regions, and recently yet another find was added to the list. 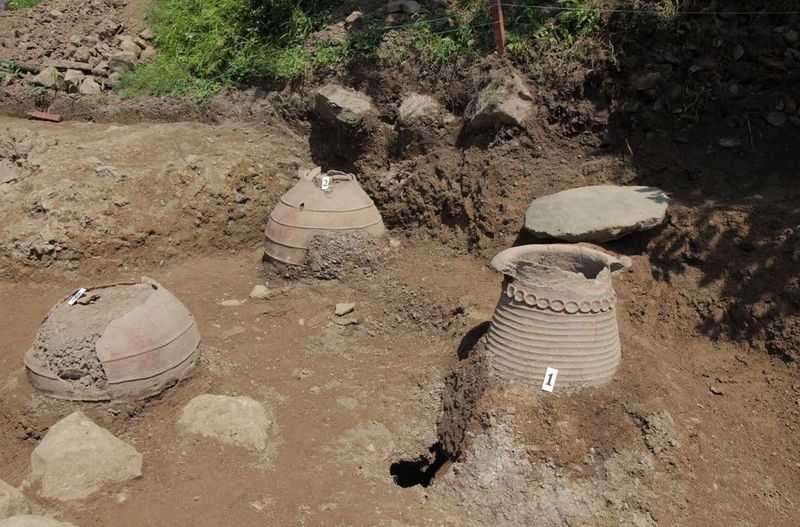 In the village of Kapnistavi, Adjara region, archeologists have unearthed a very significant find: eleven kvevri (giant clay jugs used to store and age wine) that are of both Georgian and Byzantine origin. The jugs are dated VI-XI centuries. Similar finds have been made by archeologists only in regions of Georgia that used to be parts or allies of the Byzantine Empire. Ruined houses are frequently unearthed alongside them, making it clear that Byzantines made use of the Georgian marani method of wine storage. The archaeologists have also discovered metal bowls belonging to the Bronze Age, which date back to around the third millennium BC. Euronews on Georgian wine history: Evidence of ancient wine found (video). 05.06.2015. Corporation Georgian Wine LTD (CGW), one of the leading wine companies in the country, gathered its foreign partners to celebrate its 15th anniversary in Tsinandali village, Telavi region, on May 30. The company’s representatives and guests were able to make churchkhela, Georgian bread, and discuss the CGW’s achievements and future plans. Corporation Georgian Wine was established in 1999 by Dimitri Nozadze, a person who felt great love and respect for Georgian wine and national traditions. He set a goal to take wine abroad and give the whole world the opportunity to fall in love with it. During its history, the company has been engaged in exports, promoting the products not only in post-Soviet countries, but also in America, China and Europe. “Our wines appeared in a few boutique shops in Georgia, but they did not last long. 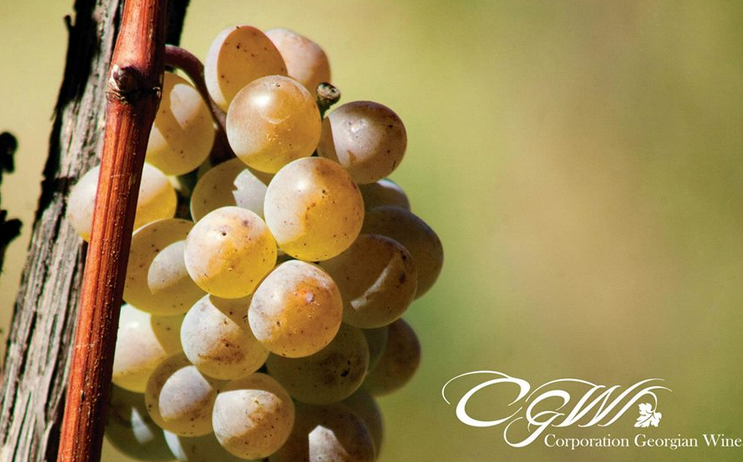 Our main clients are foreigners and we believe that it is particularly important for promoting our wines abroad and getting [foreigners] familiar with our traditions,” said Maia Metreveli, Head of Marketing and Sales Department of the Corporation Georgian Wine. 04.06.2015. Georgian wine companies engaged in export to China are waiting for Free Trade Agreement between the two countries to enter into force. As reported by Nutsa Abramishvili, CEO at Schuchmann Wines, active negotiations on this issue are already underway. According to her, the Chinese market has great prospects for Georgia. "Now China is the number one priority for our company, and we welcome the opportunity to sign an agreement on free trade. The Chinese market is large and solvent. 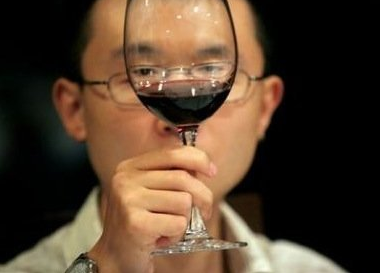 In recent years, the Chinese began to actively drink wine and Georgian products are very interesting, competitive, and slightly exotic for them, "- she says. In her words, a label and design is of great importance for the Chinese consumers. "For example, if the Europeans prefer a more low-key and modest design, the Chinese, considering their own culture, look at it quite differently. Their tastes differ with respect to the actual wine. They mostly prefer table grapes, semi-sweet, dry and blended wines, which they really like. Based on the cultural characteristics of the Chinese people, they do not like white wine, respectively, red wine is a priority in the Chinese market ,"- Nutsa Abramishvili notes. Telavi Wine Cellar (brand name Marani) is one of Georgia's leading wine producing companies. See also: Zurab Ramazashvili: “Making good wine is a skill, making fine wine is an art". 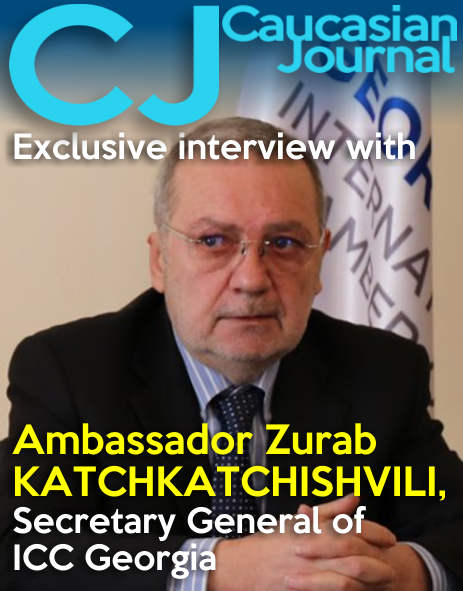 Exclusive interview of Hvino News with Chairman of Supervisory Board of Telavi Wine Cellar.